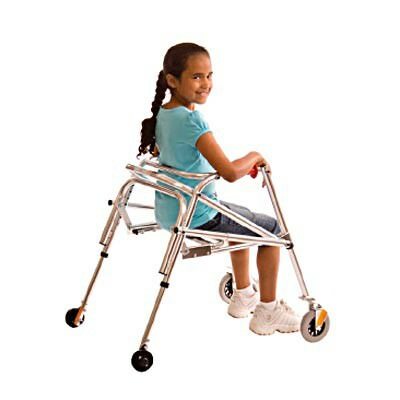 Kaye adolescent posturerest walker with built-in seat has a fold-down seat that provides an easy place to sit and rest and helps children conserve their energy for completing their daily activities. 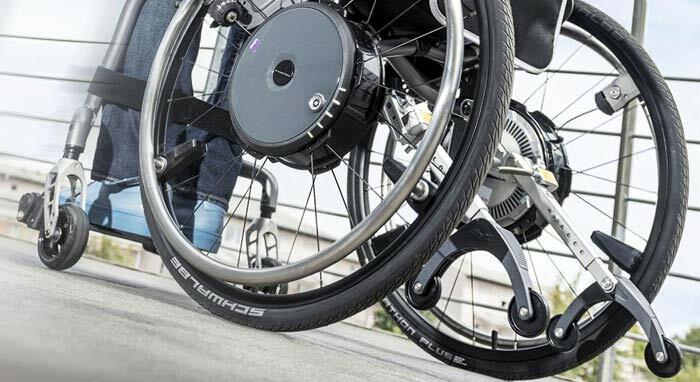 The seat is designed as temporary seat for users who may lack the stamina to stand or walk for long periods. 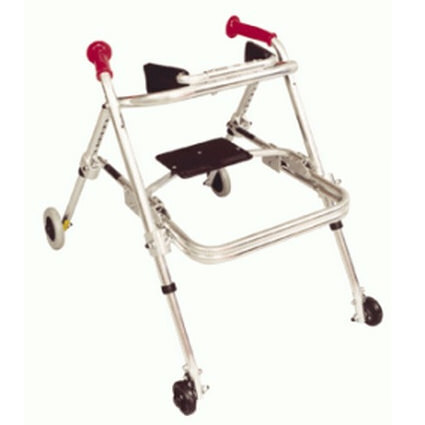 PostureRest walker style is helpful to users who have low endurance or users who are in environments where they often transit between walking and sitting. 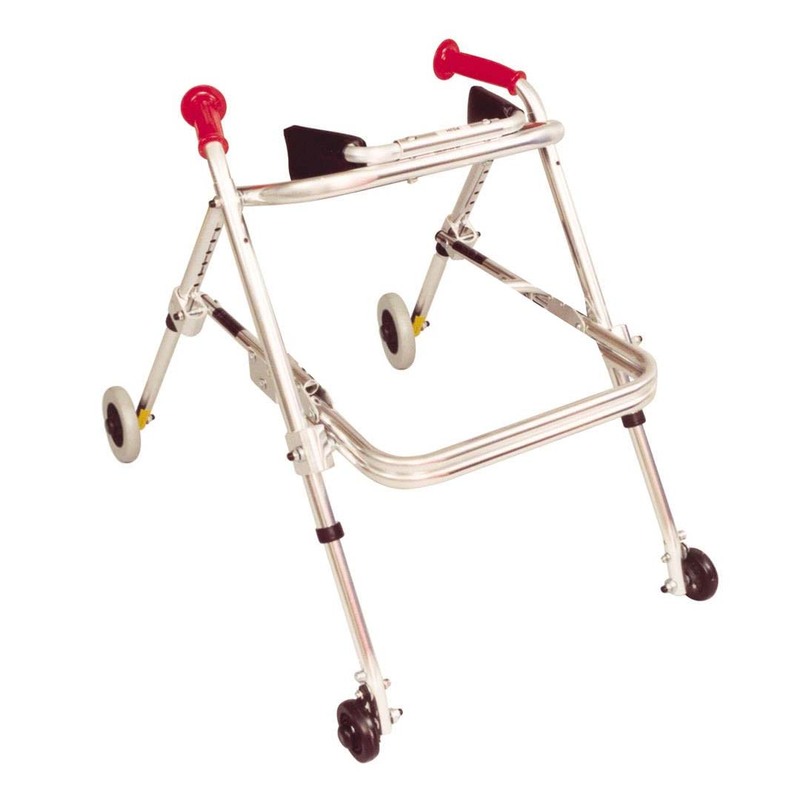 Height to top of handle (floor to mid-buttocks) 31" - 37"
Distance inside handles - depth 14"
Distance inside handles - width 21"